High-Visibility, durable Oxford polyester cloth, 2 inch grey reflective tape, 2 large zippered cargo pockets, breast pockets w/flashlight holder, nylon zipper, 3 adjustment on each side to fit all sizes. AWSOME DEALS... GREAT PRICE...GREAT SERVICE. Men and women's Black BDU Clothing including Pants & Jackets and Camo T shirts. 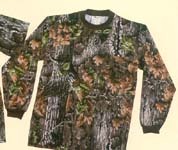 Mens camouflage Pants are 65/35 poly cotton with Adjustable waist tabs, button fly Some mens camo shirts are 100% cotton others a 50/50 blend, fine camouflage clothing for men and women made in the U.S.A.
CAMO SHOP..Your On-Line Camouflage Clothing Store. We carry Men Women Children,Law Enforcement, EMT uniforms and equipment,t-shirts,shorts and more.. Thank you for choosing the Camo Shop. 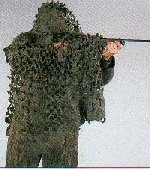 We offer some of the highest-quality camouflage clothing supplies on the market today. 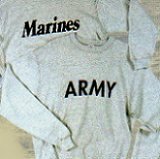 We also carry a line of military gear and fatigues, bags, belts,hats and caps, overcoats to underpants.Call or drop us an email if you need help on our site.Be sure to bookmark The Camo Shop, as one of you favorite sites, as we are interested in your feed back, to aid in the improvement of this internet shopping site.